The after school group is open to 5th and 6th class students attending the local National school and runs from 3.15 to 4.15pm every Thursday at No.6 Ocean Point, Courtown Harbour. It is a great opportunity for the students to interact with their peers outside of the school setting in a fun, safe, interactive environment. It encourages voluntary participation through a programme based on informal education, life skills, building confidence and resilience and developing social skills. 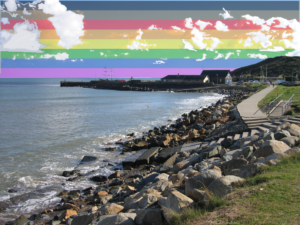 Weekly activities vary depending on the time of the year, but members will have the opportunity to engage in activities relating to sports, outdoor/recreational, cookery, arts & crafts and community engagement (availing of all that Courtown Harbour has to offer; woodlands, beaches , tidy towns, seal sanctuary and BMX club, to name but a few). The Afterschool Programme is open to all secondary school students and runs every Thursday from 4.30- 6pm at No. 6 Ocean Point, Courtown Harbour. Members are encouraged to take ownership of what activities they participate in. Some options available to them include computer skills, personal development programmes focusing on mental health, sexual health, drug/alcohol awareness, cooking, outdoor activities, sports, public art projects and many more. Assistance can also be given to Leaving Cert students regarding course research, help with grant applications, homework, CV Writing etc. The after school programme is a welcome addition to services in the area as it offers a safe space for young people to be themselves and engage with their peers and professional youth workers. Gorey Youth Needs Group CLG is funded by TUSLA Child and Family Agency and is also resourced from various grants, Tesco Foodcloud and receives huge support from Wexford Local Development with The Summer Programme.